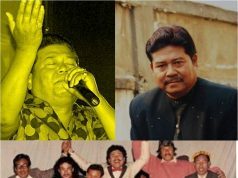 Guru Rewben Mashangva is one of the most popular and respected indigenous Naga musician of the country with a career spanning more than 20 years. 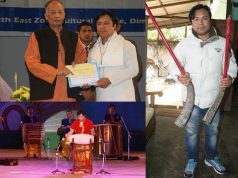 He is known for reviving musical tradition of the Tangkhul Naga of Manipur, and use of traditional musical instruments in his songs. 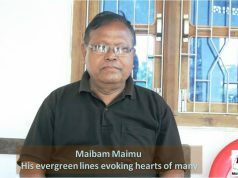 Influenced by musicians like Bob Dylan and Bob Marley, Rewben Mashangva has created many Naga tribal folk songs based on blues and ballad rhythms. He is known by different names like, Bob Dylan of the Nagas and King of Naga folk blues, Father of Naga folk blues. Rewben is a talented singer, musician, songwriter, folk music researcher and maker of musical instruments. 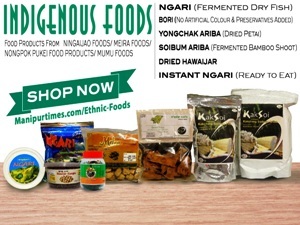 He plays the guitar producing an ethnic folk sound like no one can, the Mazui (indigenous mouth organ), the four-hole flute known as Yangkahui, the Tinteila (folk fiddle) and his rare cow bell percussion. He has reinvented the traditional Tangkhul Naga flute Yangkahui and also modified and polished the folk fiddle Tingteilla to synchronize with the western tonal scale. 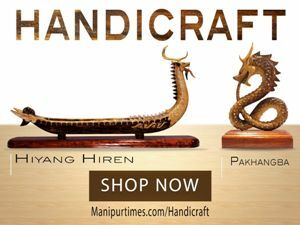 His prominent trademark is his Haokuiret (the traditional haircut of the primitive Nagas) and his colourful traditional outfit which he wears wherever he performs. 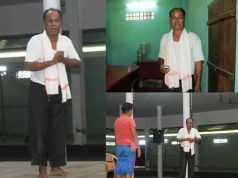 Hailing from Choithar village, 14 km eastern ward from Ukhrul district headquarters in Manipur, Rewben had to travel to remote villages of the district seeking old folk masters to listen to their folk songs Rewben said that he had a great passion for music since childhood and he used to sing Christian rhyme on every Sunday church service of the village. He keenly listened to the folk songs by his village elders from whom he inherited the knowledge of Tangkhul folk songs. Born on June 21, 1961, Rewben is the eldest son of Shangphai and Lasengla. He has five sisters and three brothers. Father was a carpenter. Tangkhul folk songs are usually sung to describe different themes – seasons of harvesting, seed sowing, new year etc. Folk songs are also sung during religious ceremonies like festivals or wedding. Rewben tries to revive the Tangkhul folk songs after refining, modernizing it so as to adapt to the younger generation. “I tried my best to win the hearts of youngsters so that our folk music could be saved from extinction”, says the folk guru who adapted the age-old Naga folk songs handed down the generations by word of mouth to Bob Dylan-type blues and ballad rhythms. Rewben’s distinct quality lies in his ability to interpret and adapt old Tangkhul Naga folk songs in a way appealing to his modern listeners. He can do so for he deftly understands the taste of his modern listeners and the kind of intricate technology and global cultures they are exposed to. 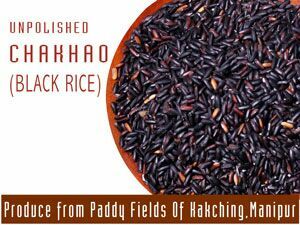 His significance lies in refurbishing the fast vanishing culture of the indigenous people especially in the north east in particular, for the simple reason that their histories are disseminated through folk tales and folk songs which are intrinsic to their wholesome development and progress. He has been able to convince his own people and the world that they can maintain their culture and still be fashionable, giving a push to their common self esteem making them feel proud of being themselves. 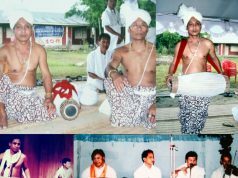 Guru Rewben Mashangva was conferred “the Northeast Excellence Award” in music for 2009 for his contribution in the field of Naga folk music. 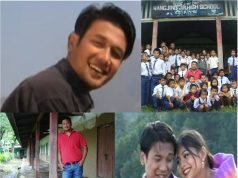 Besides, he is a Winner of the national tribal award 2011-2012 given by Ministry of Tribal Affairs, Government of India, best music composer at the 8th Manipur state film festival 2013, state kala Akademy award 2005, and recipient of the honorary title Guru from Ministry of culture, Government of India. Rewben lives quite a hectic life with performances all over the country and parts of south east asian countries, attending seminars and guiding folk music scholars. Other than the three acclaimed music albums to his credit Tantivy, creation and our story, Rewben has given music for various short films and documentaries. 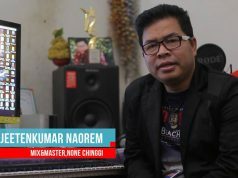 He also collaborated with award winning filmmaker Oinam Doren for three film projects – a very stylish commissioned feature documentary Songs of Mashangva on Guru Mashangva’s life and music targeting an international audience, The Next Song which is a sequel to SOM and a feature film in development tentatively titled “The Lonely Village. 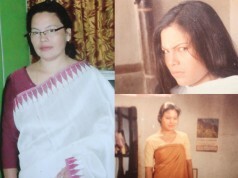 Songs of Mashangva won the 58thNational Award for 2010 the highest film making on India given by the president. He is arguably the undisputed principal exponent of Hao Music. He laments that as the younger generation of the Tangkhul Nagas are only interested in the gaudy sophisticated culture of the West, the native rich folk music will die gradually as the old masters die due to old age. So the Guru has been struggling for the last 20 years to preserve and popularize it in his own community and to the outside world at large. He says he is lucky to have his God send wife Happy who has been immensely supporting the family on her own when the Guru is selfishly engrossed in his own pursuit. 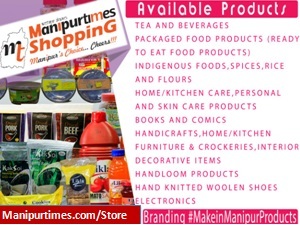 He is also grateful to Keith Wallang and Anungla of Springboard Surprises, Shillong who has been managing him since a couple of years from now without any monetary motive. “Our folk songs from the villages are on the verge of extinction because of changing lifestyles and absence of written texts etc” Guru Rewben said. His mission is to preserve the folk songs for years through his creativity in this era of identity. 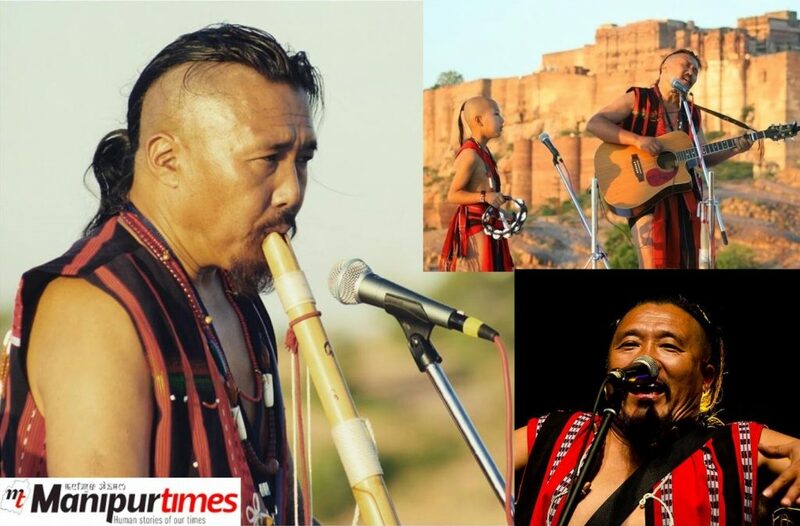 He revives the ‘dying’ traditional tribal folk music especially the variety sung by his own Tangkhul community in Manipur which swears by contemporary western rock and pop music. This 56-year-old Tangkhul folk guru also plays acoustic guitar on traditional folk tune or rhythm besides his hand-made traditional folk fiddle Tingtila (or Pena) and four-hole flute Yangkahui on stage. Your report is good. 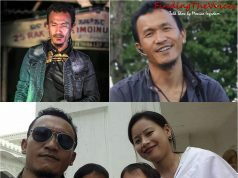 But, I don’t like you to identify our Rewben Mashangva as one of the most popular & respected indigenous Naga musician… Tangkhul Naga… I would like him to be identified only as the most popular and respected indigenous Tangkhul musician of our country. 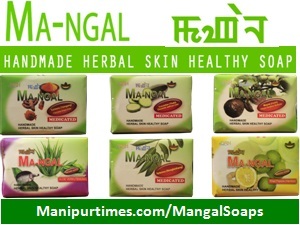 We need to use Tangkhul more than the term Naga.